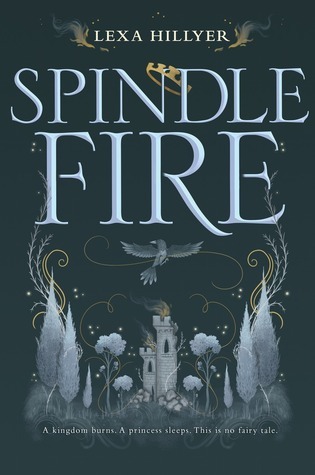 The Review: Spindle Fire has only been on my radar for a few months after I kept seeing it pop up every now and then over Instagram. I decided to look it up and even though there are quite a few mixed reviews, I was intrigued enough to want to try it. I’m always looking for new retelling stories and with this being a retelling of both Sleeping Beauty and Alice in Wonderland I was immediately excited to see how the author could combine both stories into one but I was honestly just disappointed when I started. The story is told by two different narratives, Isabelle & Aurora. Isabelle and Aurora are very different. For starters, Aurora is the illegitimate daughter of the king while the other, Isbe is not as she was born out of wed lock and has a different mother to Aurora. Aurora is lost her sense of touch and her voice to faeries as payment, while Isbe loses her sight. I actually really liked this aspect of the story and thought it was unique and interesting. I’ve read a lot of faery books in the past and haven’t come across this as yet so it was definitely something new and fresh. But just this one likable thing couldn’t hold my interest for long. As the story progresses both of the girls start their own journeys which leads them onto different paths but ultimately trying to reach the same ending. This is where the problem for me lies. Once their journeys start I actually started to lose interest in the story. Each sister is basically telling each retelling, and for me it just didn’t work. I found the stories became confusing and as we get further into the faery world, it didn’t make sense. The girl’s stories were going in completely different situations that once again didn’t make sense – more so Aurora’s story. I have to admit I’m not a patient reader. If a book doesn’t grab me within the first 100 pages or so then I start to lose interest. And I lost interest very quickly with this book and this why I decided to not finish the book at around 47%. If anything I actually gave this book more time than I normally would. A powerful and moving novel about bravery from the Guardian's "writer to watch" Non Pratt, perfect for fans of Rainbow Rowell, John Green and Holly Bourne. Claire Casey hates being the centre of attention. But if it means getting Sef Malik to notice her, it’s a risk she’s happy to take. Sef is prepared to do anything to help his recently disabled brother. But this means putting Claire’s love – and life – on the line. Because when you're willing to risk everything, what is there left to lose? 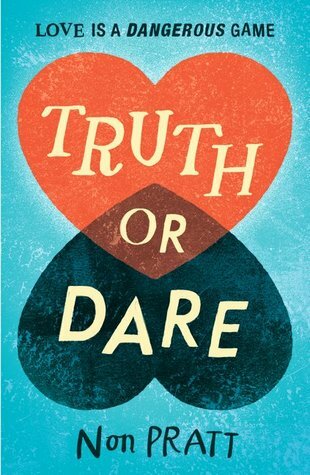 The Review: Truth or Dare by Non Pratt is a book that I was really excited to read. After reading and loving her debut novel Trouble, I was more than excited to see what this author could do next. This story is about two teenagers, Claire and Sef, who are both going through some serious life issues mainly bulling and disabilities. The story tells the characters journey of trying to raise money for Sef’s brother who has been hurt and trying to afford the cost of his treatment. This brings Claire and Sef to create Truth or Dare, where they record themselves online doing crazy dares to raise money. I really enjoyed this aspect of the story because it was not something I’d read before and trying to bring awareness to an illness to a great achievement so bravo to the characters for doing something selfless and brave. The story is also told from both main characters narratives, so different points of view and for a story like this I definitely think it was needed. It made the story that much more real and enjoyable to get the feeling from both characters. And I loved how you have to flip the book to get the other characters story. Very unique! I have to say I really did want something more from the end. I’m not a big fan of open endings – I like closure so I can move on from a story but this felt much unfinished to me. In all, Truth or Dare is an enjoyable read. I didn’t quite like it as much as Trouble but I’m excited to read more from Non Pratt. Thank you to Walker for giving me the opportunity to review this book in exchange for an honest review.